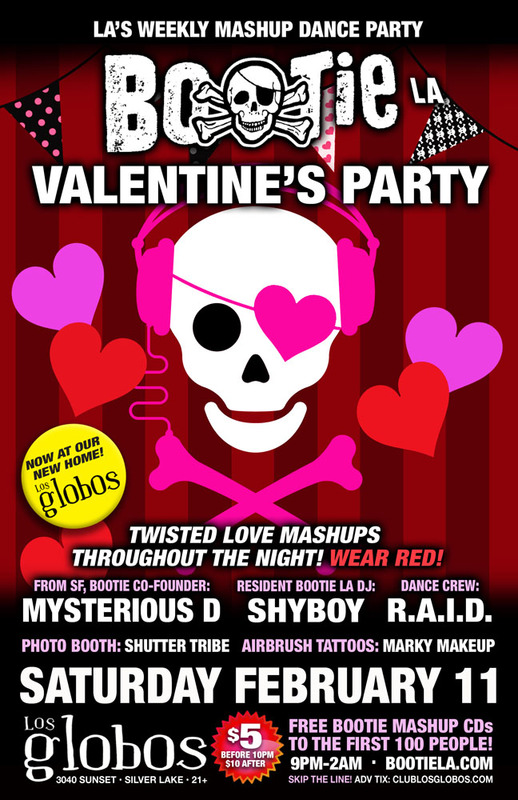 It’s the Bootie LA Valentine’s Party! Whether you love Valentine’s Day or loathe it, Bootie co-founder and DJ Mysterious D and resident DJ ShyBoy have a night full of twisted, mashed-up love songs for you! Bring a date, or find someone here! R.A.I.D. will be on hand, holding down the go-go boxes with their romantically insane go-go antics, Marky Makeup will be airbrushing love tattoos just for you, and of course Shutter Tribe will be there to capture all the love in the air!